Superdry women's Tamara boutique dress. 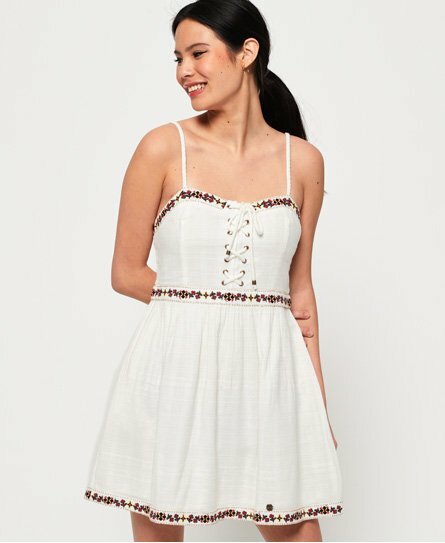 This dress features adjustable straps, embroidered flower detailing and faux lace fastening at the front completed with beads. This dress also features a zip fastening at the back, pockets in the side seams and a discreet metal Superdry logo badge above the hem. The embroidered detailing on the waist accentuates your figure for a flattering fit.